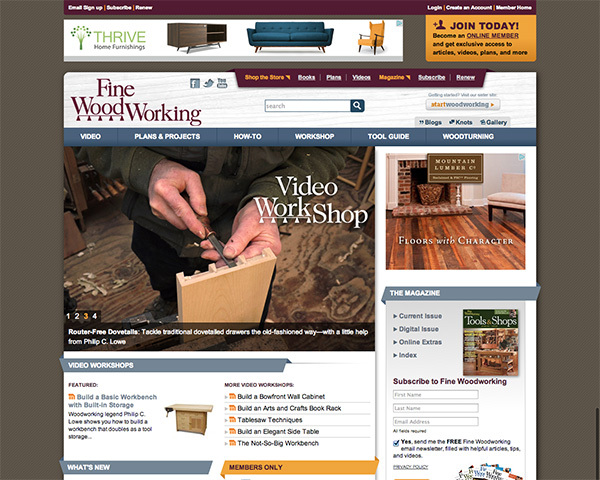 Last year, I undertook a redesign and relaunch of one of our oldest web sites, finewoodworking.com. The graphic design of the site had already been done and approved, so part of the challenge was translating this to the screen and making it responsive. For this project I used the Compass Susy (susy.oddbird.net) framework. Due to the fact that this site was on both .Net Ektron and PHP Codeigniter, it was decided to only make the .Net pages responsive at launch.